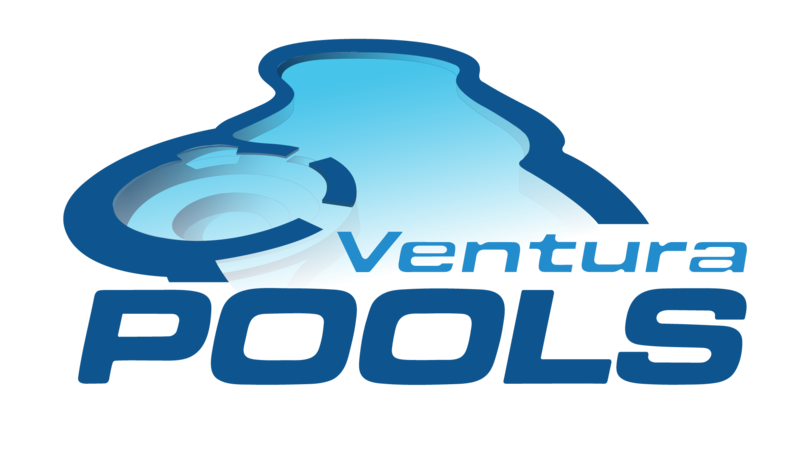 Ventura Pools is the premier pool builder in Thousand Oaks. With over 20 years of experience, we have the skill, expertise, and specialist knowledge to design, build, and renovate any pool. Unlike many competitors, we handle all aspects of the design-build process to keep your costs at a minimum, speed up our delivery time, and keep our quality control well above industry standards. When you choose us, you know you’re getting an exceptionally well-constructed pool at a great bargain value. We’ve developed our business model based on one simple principle: Cut out the middleman. At Ventura Pools, we do everything in-house. We keep a small company of three brothers, and we handle all aspects of the pool construction process—from the acquisition of construction materials, the design of the pool, the labor, the construction, and the pre- and post-project inspection. We do it all. That way, you know you’re getting a trustworthy professional who will stay with you during the entire project and save you time, money, and effort. Smart, affordable, and simple? That is all possible with Ventura Pools. Our many happy customers can attest to it. Contact us today to find out for yourself. When you hire a pool contractor, you don’t want someone who will slap together a cookie-cutter pool only for it to break down by the end of the season. You want a professional who can work with you to develop a pool that suits your style and satisfies your needs for years to come. We strive to demonstrate that capability during our initial consultation process. When you contact us, we’ll schedule a meeting to come to your location, listen to what you want, and develop a project plan based on your precise specifications. Many of our clients come to us with innovative and unique design ideas for a pool or a spa but have been uncertain if they’re actually feasible. So far, our answer has always been the affirmative. We are confident that we can build any pool, no matter how intricate or elaborate. Ventura Pools has years of experience building pools in Thousand Oaks of all shapes and sizes. If you’re someone that values privacy, consider an indoor pool. Or, if you want to feel the warm rays of the sun on your face, choose an in-ground outdoor saltwater model. Either way, trust Ventura Pools for your swimming pool construction that’s reliable, stable, and rapid. Instead of going with the swimming pool contractors that promise the fastest results, trust Ventura Pools because we offer the best results. We’ll take our time to build your pool solid and stable, and ensure that your property value is raised after construction—not lowered! Ventura Pools offers our clients a wide variety of pool construction templates to choose from. But if you’ve got something else in mind, and want help bringing your vision to life, call Ventura Pools. Of all construction. the swimming pool contractors working in Thousand Oaks, we’re the only pool construction company that specializes in custom pool design and swimming pool construction. Want to practice like an Olympian in your own backyard? No problem. We can help you create any shape or size pool you desire. Thanks to our expertise, we can build any swimming pool. 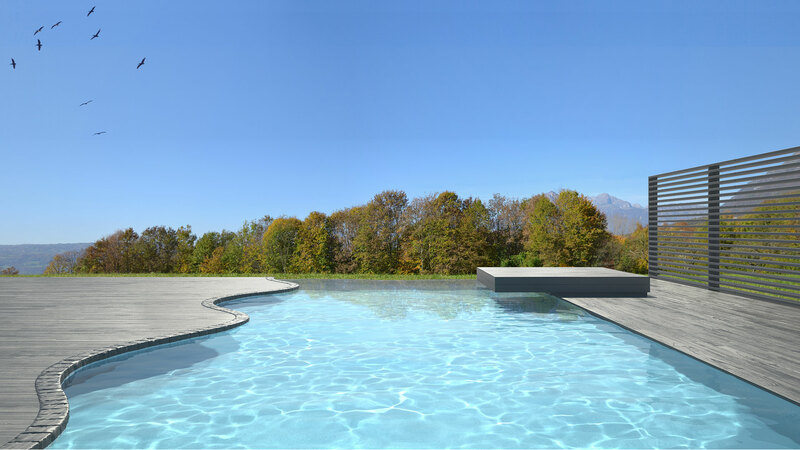 Many of our clients are surprised to hear that we can in fact turn their idea for a pool into reality. If you’ve got an idea in mind, we’re here to realize it. Just give us a call and let us know you want help designing your own custom swimming pool. When the mercury rises and the weather gets too hot to handle in Thousand Oaks, there’s nothing more relaxing than taking a dip in your very own pool. Whether you choose outdoor or indoor, in-ground or above ground, saltwater or a traditional chlorinated model, Ventura Pools is the number to call for safe, fast, and durable pool installation at your Thousand Oaks property. Because we handle all aspects of the pool-building process, we maintain exceptionally high standards for our quality control. When you hire us, you know exactly who you’re working with: a fully-licensed professional pool builder. No outsourcing. No subcontractors. No surprises. There’s something to be said for being able to take a swim without involving weeks of construction or potential drainage issues. Ventura Pools also installs above-ground pools from a variety of manufacturers. As swimming pool contractors, we want to be able to bring the joy of backyard swims to everyone that lives in Thousand Oaks. No matter what your budget is, we’ve got an above-ground pool to install that will provide you dozens of hours of summertime fun—and fitness too! Call us during business hours and one of our friendly associates will get back to you with an accurate estimate for pool construction as soon as possible. Or, if you’re still just testing the waters—pun intended—that’s fine too. Give us a call today! Ready to get started? Summertime is only a few precious months away. If you need summertime refreshment and an affordable and fun way to beat the heat, you can’t do wrong by calling Ventura Pools at (805) 914-3151 now. We know we’re the best pool contractor in the local area. We’re masters of our craft. We are renowned for our affordable services, our exceptional workmanship, and our commitment to our customers. We’re confident you’ll love our services. That’s why we offer a 100% customer satisfaction guarantee on every project we undertake. If you’re not satisfied, then neither are we. And we’ll work with you every step of the way to fix the problem, whatever it may be. Countless customers have already benefitted from our services and transformed their properties with our breathtaking pools. What’s stopping you?